En Primeur Vacqueyras Château des Roques Magnum is not yet released for sale. POA, please email finewine@davy.co.uk and ask to be added to our En Primeur email list. Château des Roques lies on the rocky plateau of ‘Des Roques’, a hamlet on the outskirts of Vacqueyras. Owned and run by the Seroul family since 1997, the estate is managed traditionally using natural fertilizers, tailored treatments and harvest is done by hand. Eclipsed to some extent by the wines from its more illustrious neighbours, Gigondas and Chateauneuf-du-Pape, Vacqueyras has plenty to offer and deserves to be much better known. The vineyard covers 38 hectares and has an average age of 40 years old vine. It is planted with Grenache, Syrah, Mourvèdre for the reds. Offered for sale ‘En Primeur’ under bond. Price shown is per case (3x150cl magnums) and excludes UK duty and VAT which will be charged at the prevailing rate when the wine is released from bond. Onward delivery from bond charges are not included, free delivery on orders above £100 does not apply. 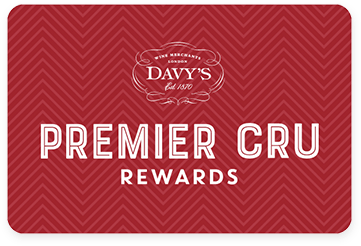 Reward Card points are not accruable or redeemable on ‘En Primeur’ or In Bond sales.